Houzz 8 of our visitors have told a friend about this plan. 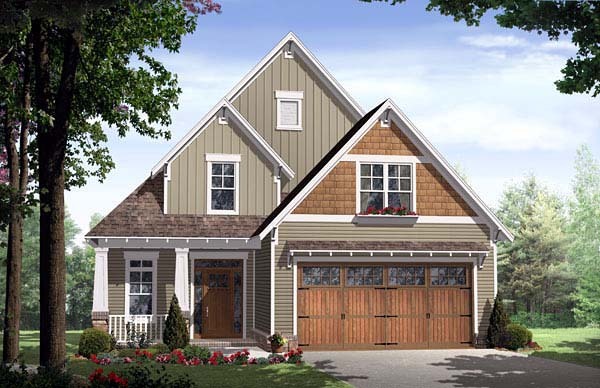 This charming craftsman home provides a very functional floor plan layout with many of the features that your family desires. The expansive master bedroom has a private bath and plenty of storage space in the large walk-in closet. Large great room with built-in shelves and columns provides an elegant space for entertaining friends and family. Open kitchen layout with plenty of counter space for that growing family. The second floor is complete with two additional bedrooms and another bath. A large bonus space ,perfect for a game room or play room, is also provided. Make this your family's next home today! Got a question about this plan? Ask The Designer any question you may have. NOTE: If you have a plan modification question, please click on the Modifications Tab above. Q. Can I make modifications to this plan? A. Yes you can! Please click the "Modifications" tab of the top of this page to get more information. Q. What is the estimated price to build this plan? A. The national average for a house is running right at $125.00 per SF. You can get more detailed information by clicking the Cost-To-Build tab at the top of this page. Sorry, but we cannot give cost estimates for garage, multifamily or project plans. Build your own custom, up to 96 Page Planbook, by filing this plan away in your Bookmark This Plan! You can Add Your Own Notes about this plan. Compare up to 5 of your favorite plans at once. If you find this plan featured on a competitor's web site at a lower price (advertised OR special promotion price), we will beat the competitor's price by 5%. To take advantage of our guarantee, please call us at 800-482-0464 when you are ready to order. Our guarantee extends up to 4 weeks after your purchase, so you know you can buy now with confidence. What Do These Plans Include? Close - What Do These Plans Include? Plans range in number of pages from 5 to 13 pages on 24" x 36" sheets. Printed on a wide-format xerox machine to guarantee quality of the prints and very good legibility. Prints are printed on white bond paper. Reproducible plans are printed on eraseable vellum. All sets will be Readable Reverse copies. Turn around time is usually 3 to 5 business days. ** 1 Set order does not include a License-To-Build. For bidding purposes only. Customer can upgrade order within 90 days. Photographs may show modified designs. Add this plan to your My Plans collection. Image quality may be compromised. Plan modification is a way of turning a stock plan into your unique custom plan. It's still just a small fraction of the price you would pay to create a home plan from scratch. We at Familyhomeplans.com believe that modification estimates should be FREE! We provide a modification service so that you can customize your new home plan to fit your budget and lifestyle. Email: Click Here. This is the best and quickest way to get a modification quote! Please include your Telephone Number, Plan Number, Foundation Type, State you are building in and a Specific List of Changes. It's as simple as that! Get more accurate results, quicker! No need to wait for a reliable cost. Get a detailed cost report for your home plan with over 70 lines of summarized cost information in under 5 minutes! Interactive! Instantly see the costs change as you vary quality levels Economy, Standard, Premium and structure such as slab, basement and crawlspace. Your estimate is active for 1 FULL YEAR! View an actual, LIVE cost report. This report is for demo purposes only. Not plan specific. * Limit one $19.95 credit per complete plan package order. QUICK Cost-To-Build estimates are available for single family, stick-built, detached, 1 story, 1½ story and 2 story home plans with attached or detached garages, pitched roofs on flat to gently sloping sites. QUICK Cost-To-Build estimates are not available for specialty plans and construction such as garage / apartment, townhouse, multi-family, hillside, flat roof, concrete walls, log cabin, home additions, and other designs inconsistent with the assumptions outlined in Item 1 above. User is able to select and have costs instantly calculate for slab on grade, crawlspace or full basement options. User is able to select and have costs instantly calculate different quality levels of construction including Economy, Standard, Premium. View Quality Level Assumptions. 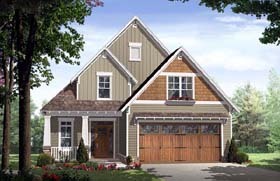 Estimate will dynamically adjust costs based on the home plan’s finished square feet, porch, garage and bathrooms. Estimate will dynamically adjust costs based on unique zip code for project location. 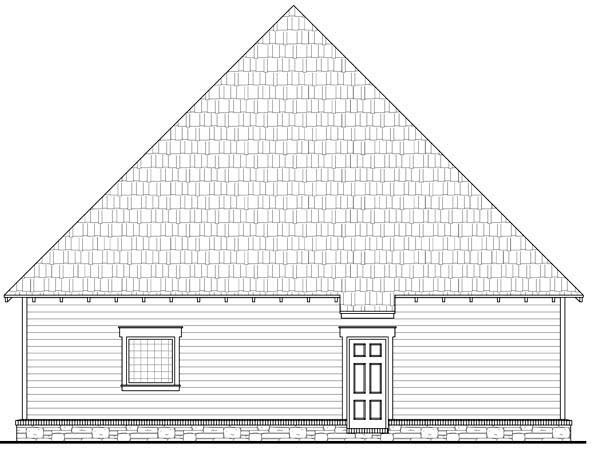 All home plans are based on the following design assumptions: 8 foot basement ceiling height, 9 foot first floor ceiling height, 8 foot second floor ceiling height (if used), gable roof; 2 dormers, average roof pitch is 12:12, 1 to 2 covered porches, porch construction on foundations. Summarized cost report will provide approximately 70 lines of cost detail within the following home construction categories: Site Work, Foundations, Basement (if used), Exterior Shell, Special Spaces (Kitchen, Bathrooms, etc), Interior Construction, Elevators, Plumbing, Heating / AC, Electrical Systems, Appliances, Contractor Markup. View a LIVE Sample Cost Report. QUICK Cost-To-Build generates estimates only. It is highly recommend that one employs a local builder in order to get a more accurate construction cost. All costs are “installed costs” including material, labor and sales tax. If you find the exact same plan featured on a competitor's web site at a lower price (advertised OR special promotion price), we will beat the competitor's price by 5% of the total, not just 5% of the difference! Our guarantee extends up to 4 weeks after your purchase, so you know you can buy now with confidence. * For first-time purchase only. Tell A Friend about this plan and receive a special discount promo code. Order 2 to 4 different house plan sets at the same time and receive a 10% discount off the retail price (before s&h). Even better - Order 5 or more different house plan sets at the same time and receive a 15% discount off the retail price (before s&h). Offer good for house plan sets only. To take advantage of our guarantee, please call us at #application.phoneusa# when you are ready to order. Our site employs cookies to facilitate a more personal, plan search experience. We will not share any personal info with an outside source. If you prefer, you can click here to completely erase any stored search data.